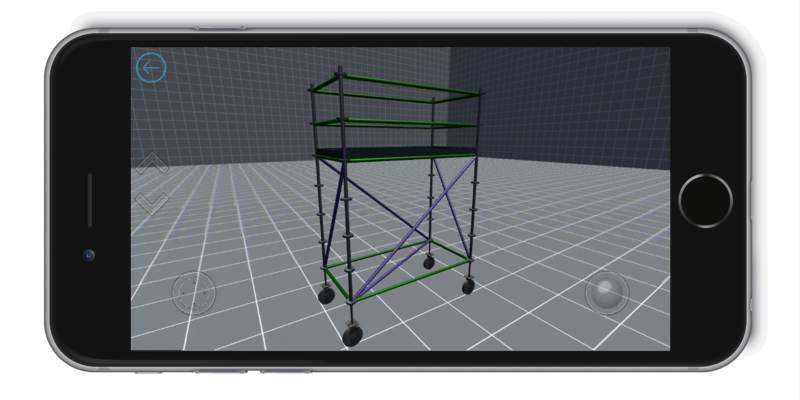 Snap together basic materials or pre-fabricated scaffold bays and towers to create 3D models for frame, ring-type, and Kwikstage scaffolding. Pedestrian walkways, rolling towers, stairs, and even complex industrial builds like LNG modules are all possible with Scaffold Counter. And, as the name implies, everything is counted for you. WHAT ELSE CAN SCAFFOLD COUNTER DO? As it turns out, lots! 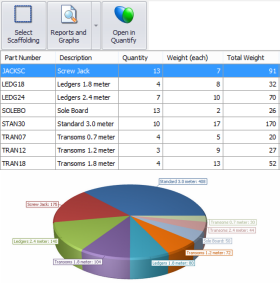 Scaffold Counter provides an instant bill of materials (BOM), weight charts, and other reports. And, because it integrates with Avontus Quantify, you can easily create estimates with rates and new jobs. 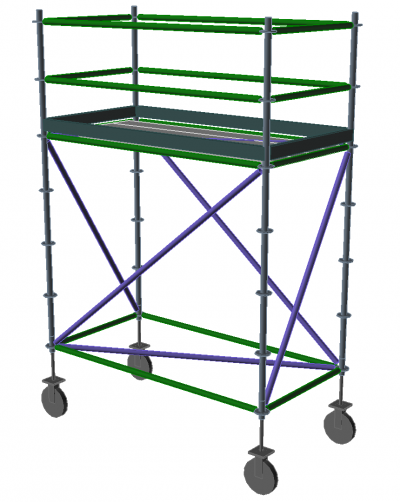 Free Scaffold Design Software. Seriously. View the complete newsletter here. While we already offer an easy-to-use, standalone design and estimating tool for salespeople and estimators (Scaffold Designer), we want to help out engineers and others who are working in AutoCAD, too. That’s why we’ve released Scaffold Counter, a cost-free add-on to AutoCAD 2012-2015 for both 32- and 64-bit. What can a free tool do? As it turns out, quite a lot! Scaffold Counter includes drawing blocks for frame, tube and clamp, ring-type, and Kwikstage scaffolds (with more planned). 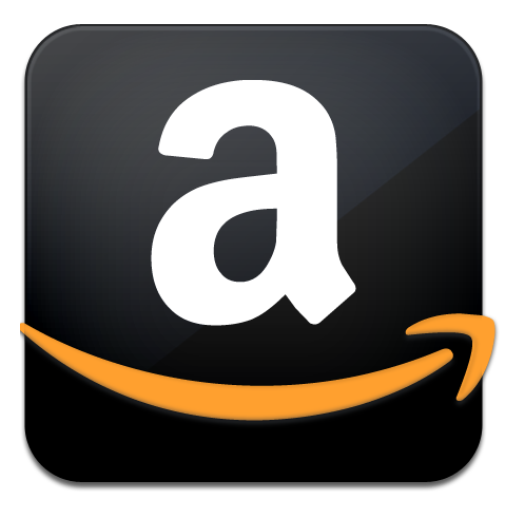 It also provides an instant count of materials used, weight charts, and other reports. And, because it integrates with Quantify, you can easily create estimates with rates and new jobs. What kinds of designs can I make with Scaffold Counter? Just about anything! The tool also includes some basic builds already designed for you. 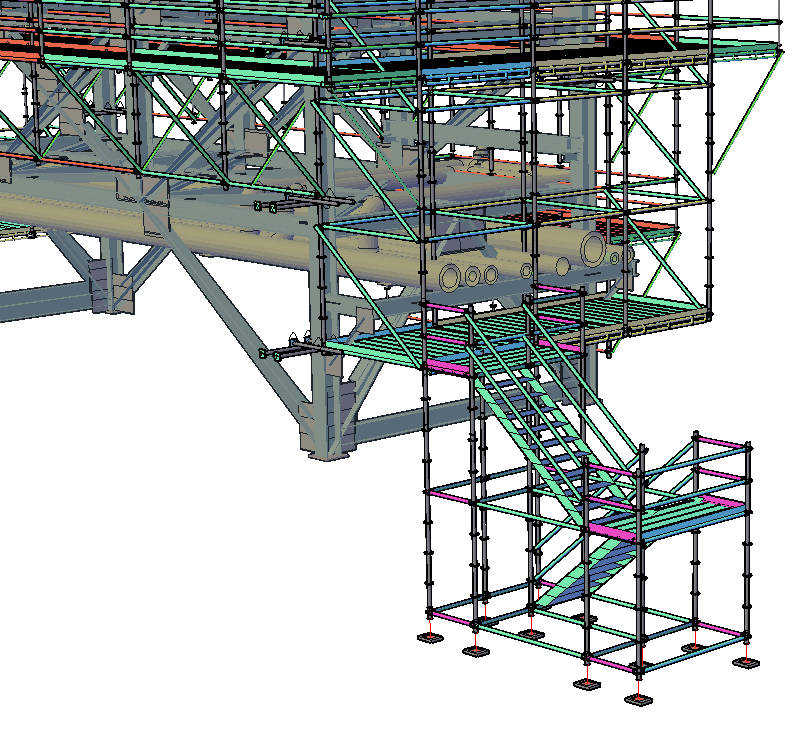 Pedestrian walkways, rolling towers, stairs, and even complex industrial builds like LNG modules are all possible with Scaffold Counter. And, as the name implies, everything is counted for you. How do I get Scaffold Counter? Easily! Just visit www.scaffoldsoftware.com to learn more. Or, just click the Install Now button to learn more and get the tool. 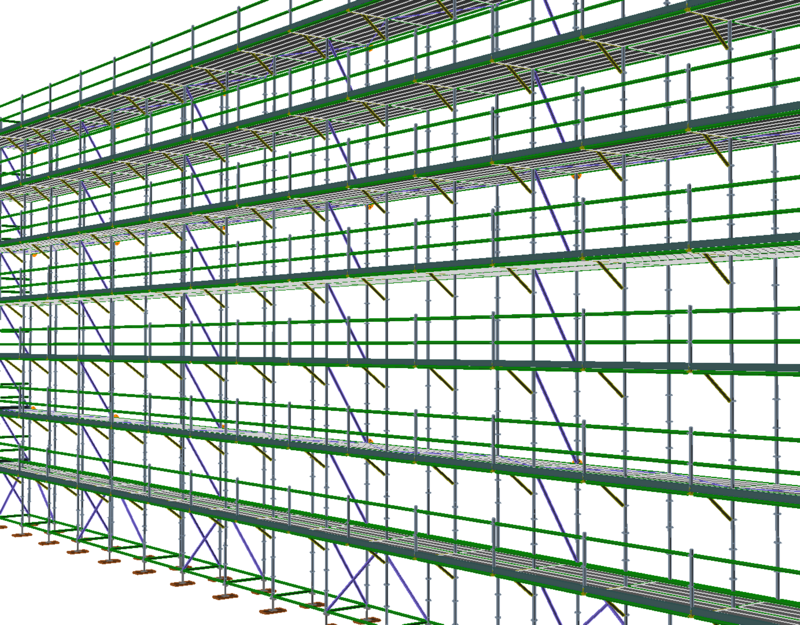 Design and estimating are just the beginning of a scaffolding project. Scaffold Designer and Scaffold Counter both integrate with Quantify so you can easily add rates to estimates and mobilize materials for jobs. 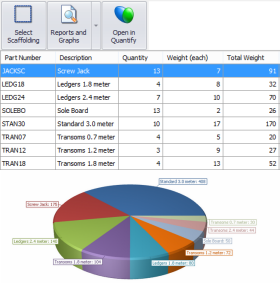 Just look for the Quantify button in the Bill of Materials. I hope you find Scaffold Counter to be a big help. Spread the word about this free tool and help your fellow engineers, too! Don’t hesitate to share your feedback with us, and if you need tools for non-AutoCAD users, or to manage your scaffolding business, we’re here to help. Click here to contact me for a demo and find out why scaffold companies of all sizes worldwide choose Avontus for their estimating, inventory, job, and billing management software. Using Abacus or iRent? Time to upgrade! Windows 8 is now available. Ensure your critical systems are compatible! 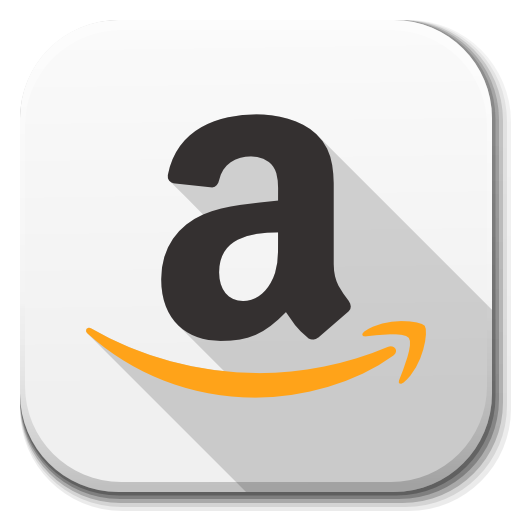 New customers, purchase Quantify before July,1 2013 and get $1000 off your first license! https://www.avontus.com/wp-content/uploads/Scaffold-Counter.png 232 567 Dave Damianakes https://www.avontus.com/wp-content/uploads/avontus-logo-2017-2.png Dave Damianakes2017-04-25 06:27:512017-04-25 06:27:51Free Scaffold Design Software. Seriously. In just a few short months Scaffold Counter, our free scaffolding software for AutoCAD, has risen to the top of the Most Downloaded category on the AutoCAD app store. If you’re using AutoCAD, be sure to try out this free app in the AutoCAD App Store. Scaffold Counter works on AutoCAD versions 2012, 2013, 2014, and 2015 (both 32-bit and 64-bit). 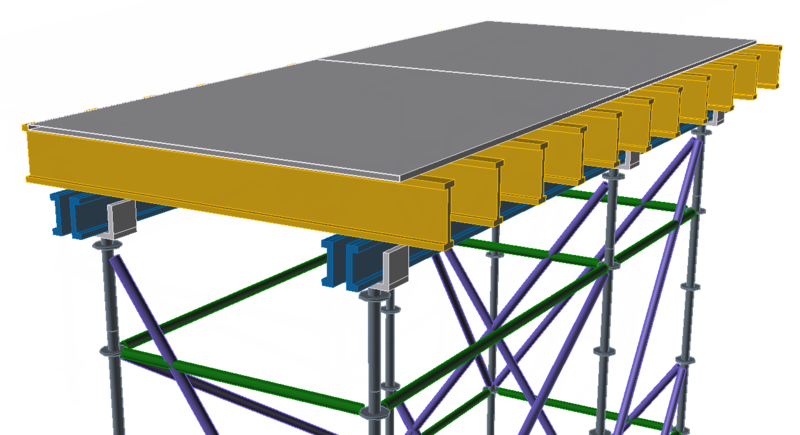 Scaffold Counter is fully integrated with Quantify 2015 to take your scaffold materials to the next level with estimates, equipment management, and rental/hire billing. Contact sales for a free demonstration of our software. 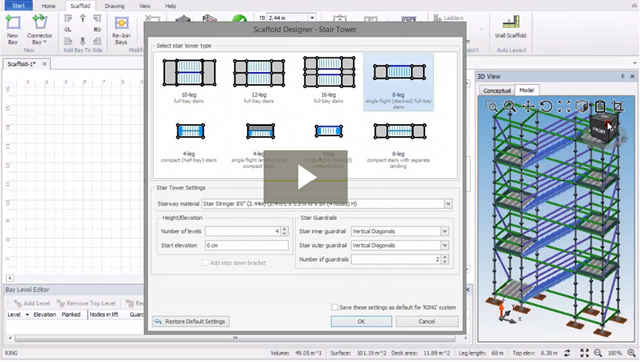 Scaffold Designer 2015 is Here! The best scaffolding software just keeps getting better! 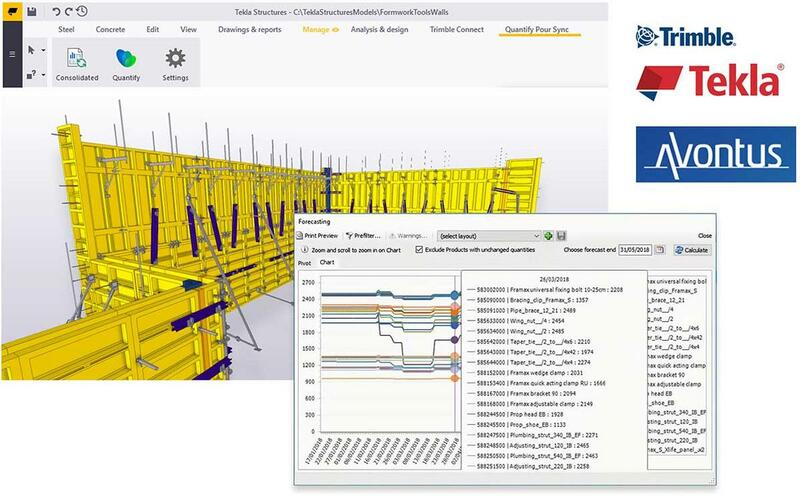 Avontus is proud to announce the latest release of Scaffold Designer, our easy-to-use scaffolding design and estimating software. 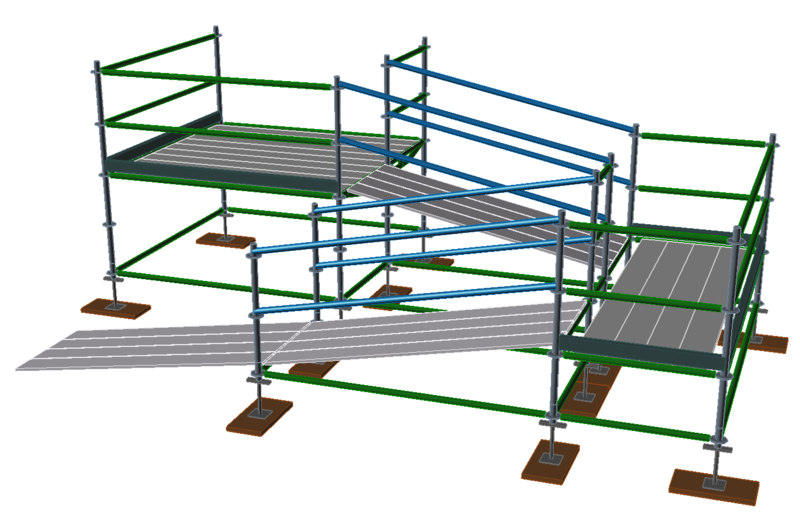 From 4-leg to 16-leg stair towers, Scaffold Designer’s completely redesigned Stair Tower control now offers 32 stair combinations for Ring/Cup type Scaffold and 27 combinations for Kwikstage. Added options for stairway and guardrail materials ensure your drawing, and your Bill of Materials, match your actual build. See more now in our Stair Towers help video. For a complete list of features, enhancements, and fixes, please view the Release Notes or watch our stair tower video by clicking on the image below. If you would like to schedule a demonstration of our software please contact us today. https://www.avontus.com/wp-content/uploads/Scaffold-Designer-2015-is-Here.png 402 975 Dave Damianakes https://www.avontus.com/wp-content/uploads/avontus-logo-2017-2.png Dave Damianakes2017-04-24 03:09:342017-04-25 05:38:52Scaffold Designer 2015 is Here!